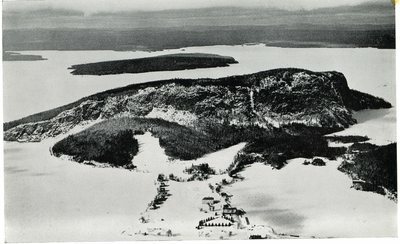 "Kineo, Maine, Mount Kineo in Mid Winter "
This black and white aerial postcard image shows Mt. Kineo and the Kineo Hotel House. Also visible in this winter shot are mountains covered in snow and the frozen surface of Moosehead Lake.